Google began rolling out the Smart Campaign feature to advertisers on the 20th of April 2018. With Over 3 Million Websites and Apps on the GDN, advertisers have traditionally been provided with ample opportunity to reach audiences with relevant messages and augment those all-important conversion numbers. These Display Ads, however, had to be manually configured. 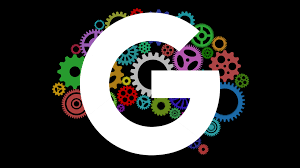 Now Google has given advertisers the benefit of machine learning to accomplish the same and more in an automated fashion. For a month, Conversion Science tested the feature and after analysis of the resultant data we can now report that the same type of success as seen by companies like Trivago (Google’s flagship Smart Campaign) is evident in similar campaigns in our portfolio. But, what assets are needed for a Smart Campaign and how does one go about setting it up? Smart display campaigns are a new feature of the google AdWords interface that will look to simplify, automate and take much of the guesswork out of managing the complexities and nuances of display advertising campaigns. Smart display campaigns offer a great way to expand one’s customer base while avoiding the uncertainty of fiddling with manually targeted campaigns. This makes them a great option for advertisers that are relatively new to display advertising, and who require a quick and easy way to set up a high performing campaign. To run a smart display campaign, conversion tracking must be enabled, and a minimum of 50 conversions on the display network or 100 conversions on the search network need to have been acquired within the last 30 days. Smart display campaigns utilise 3 different optimisation technologies to save the advertiser valuable time and labour and provide insights that only Google’s algorithms can. These technologies respectively address the areas of bidding, targeting and ad creation. Smart display campaigns automate bids based on a target CPA that is determined by the user and optimise these bids using conversion data, bidding more or less aggressively based on the likelihood that each ad auction will result in a conversion. This way ads will be shown to the right people at the right times, ensuring minimal wasted spend. The smart campaign will typically begin to optimise within a period of two weeks or after it has amassed 50 conversions, whichever comes first. It will seek to find as many potential customers as possible within the set target CPA bid and budget, meaning that the user still has control over how much the campaign can spend within a given time. One of the best things about this new feature is that the advertiser has the option of paying per conversion as opposed to per click for campaigns using target CPA bidding. Targeting with smart display campaigns will automate in a similar way over time, as ads progressively serve where they receive the most interaction. This ensures that ads get served to the right people at the right time to maximise conversions as efficiently as possible. Targeting methods will continuously optimise in real time through machine learning, picking up associations from browsing data that a person would not have been able to anticipate otherwise. This includes automated remarketing as well as prospecting, reaching people at various stages of the buying cycle. For those who want a little more control, the AdWords interface still offers some tools to manually choose where ads can appear, such as placement and site-category exclusions. Smart display campaigns also automatically generate ads in an array of different formats, allowing them to be displayed in virtually any online space on the GDN, on both mobile and desktop devices. All that needs to be provided by the user is an initial library of text and creatives from which to choose. The campaign will then optimise very quickly, within days in fact, and automatically select the best combination of headlines, images etc. to show for each impression based on their previous performance. The best thing about smart display ads is that they are responsive and adaptive, which means that they will never miss out on an opportunity for an impression, and at the same time one does not have to create many different ads for each size and format.